“Behind me, the sound of chain sliding over wood. I felt so cold, so squeezed, I could hardly draw in breath. A tear oozed like blood from the corner of my eye. I made myself turn. Made myself look. Sarah Parsons returns to her family’s estate after her grandmother’s death in order to assist her mother in selling the old mansion. After spending some time in the house, Sarah begins to find clues regarding her family history and she becomes connected to the house in a very serious way. Sarah begins experiencing echoes left by former “residents” and in time, comes to unravel the mysteries surrounding her mother and grandmother and the very intense legacy of Amber House. I really enjoyed Sarah as a character because she was easy to relate to as she was a typical teenage girl thrown into an atypical situation. She reacts to certain incidents and characters in a way that shows her shyness, anger or understanding in a wonderful way. Sammy, Sarah’s little brother, plays a very significant role in this novel and as a reader I was very invested in his storyline as his innocence heightened nearly all aspects of the plot. I felt the same frustration and anger over Sarah’s mother as she did and I really appreciated learning more of her story as the novel progressed. The romance in this novel is an interesting one. There are times when it screamed love triangle but don’t fear, it is so much more complicate than that! Jackson and Richard are polar opposites, both of whom were interesting characters in their own way. I really enjoyed how “real” Richard seemed to me, he was perfectly created to represent that guy in high school. You know, the one all the girls want to date and all the guys want to be even though he is rather douchey? That’s Richard. Jackson, on the other hand, was the best friend who really seemed to understand Sarah and her needs. However, he had a slightly mysterious edge to him that made him more lovable, in my opinion. The best part was that both guys seemed to have their own agenda and as the story progressed, their motives are revealed and emotions become conflicted. I won’t say that it was a slow burn romance between any of the characters, because it is a lot more intricate than that. However, I will tell you that as the story progresses, the romance unfolds slowly and sneakily, and when it finally comes full circle I was left with my emotions spilling over a tiny bit. The best part about Amber House is that though the romance plays a great part in the story, it isn’t the central storyline. Family takes precedence and things play out how they must as important decisions are made. My main gripe with this novel was that upon finishing it I was enraged and confused because it ended on a note that left so many questions unanswered. I was seriously underprepared for the epilogue and I felt led astray. However, I resorted to Google and after serious searching, I found that Amber House is in fact, part of a trilogy. I breathed a sigh of relief. Bad feelings gone, all is well, and so on. Now my only issue is my impatience in waiting for its sequel! I found this novel while I was spending time browsing through Netgalley and after reading the blurb (and how gorgeous is this cover?!) I decided to give it a try. Admittedly, I wish I had waited a month or so to read it because it is a perfect read for autumn weather but nonetheless it is a book that has stuck with me months after reading the last page. 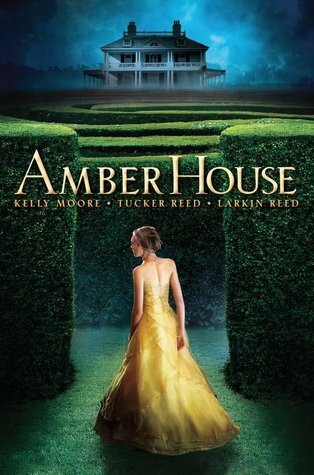 Amber House is a gothic tale stirring up feelings reminiscent of Bronte’s windy moors and King’s room 237. 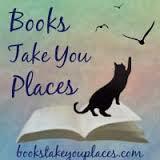 It is a novel that kept me up way past my bedtime and had me falling asleep with the lights on. For those of you looking for a good “autumn read,” I highly suggest you pick up Amber House. It contains all of the amazing horror elements to keep you looking over your shoulder while also molding in intricate relationships and a deliciously vibrant plot. This entry was posted in Reviews, Young-Adult and tagged death, ghosts, gothic, horror, magic, mystery, paranormal, romance. Bookmark the permalink. Haha, reading your review I was thinking ‘this sounds like the perfect autumn book’–I guess I was right! I hate that this was attack of the surprise series though, I think I’ll hold off on it and see how the rest pans out for you before I dive in. Still, the romance sounds good, and I love the Gothic feel. Wonderful review, and so kind, Alyssa. Thanks so much! I still can’t stop thinking about it. Definitely request from the library or buy the e-book. I liked it A LOT..I think it’s worth buying.